If you got an all expenses paid trip to Hawaii and you had to leave tomorrow morning, could you be ready? What would you have to put in order, postpone or prepare? What would you have to give up? This is a question Zig Ziglar (similar story here in his own words) asks in his book, See You at the Top. My parents played his cassette tape over and over again on our cross-country trips from our home on the east coast to our relatives in the Rocky Mountains. It was Zig or a 1950’s mix tape we picked up at a gas station. Ear buds were not an option for us in the 1980s, so we listened. Hawaii sounded so exotic. I knew it was a speck in the middle of the Pacific Ocean on our cardboard globe. I didn’t totally trust an airplane’s ability to find those tiny islands in thousands of miles of ocean. At that point, I’d only flown in an airplane once. I’d never left the continental U.S. I leaned my head against the windowpane and watched the plain states glide by. What would it take? Could I be ready by tomorrow morning? I’d miss visiting my grandparents and cousins. I’d have to arrange a ride to the airport since I didn’t have a car or a driver’s license. I’d have to figure out how to get a taxi from the airport to the hotel. I’d have to pack swimsuits and sunscreen. I’d only been to the ocean one time and it had sucked me in, spun me around, and spit me back out. Did I even want to go to Hawaii? Zig’s question followed me through my adolescence into adulthood. Obviously, it isn’t really about Hawaii. It’s about what we’re willing to do to get what we want. Hawaii could represent getting a degree, building a business, starting a family, or whatever it may be for you. I have some friends who currently live in Hawaii who had a “free tickets to Hawaii” type experience last week. They learned they had been chosen to adopt a baby in California and the baby was about to be born. Could they make space for that in their life? Could they leave their grass to grow, their plants to wilt, and find a dog sitter? Could they rearrange their work schedules, get a flight, and find a place for their family now including 3-year-old and 14-month-old sons, and their newly adopted daughter? Could that do that all on their way to a two-month assignment in Portland? Yes. Yes, they could. This is what it looks like when we make something a priority—other things bow out and make way to move towards our goal. When we decided to live on a sailboat for a year as a family, there were repercussions. We all made sacrifices. Having a big goal can help the family come together to make it happen. Together, we gave up meat—too expensive. I made meals from scratch three times a day. I cut all the hair in the family. Our 14-year-old sold her long gorgeous hair online for $700 since she wouldn’t have many earning opportunities that year. We made homemade birthday presents for our kids. We got clothes second-hand from neighbors clearing out their tiny New York closets. Erik took on second jobs. We accepted work babysitting, dog sitting, plant sitting, and house cleaning. We regularly visited a website called, howtomakemoneyasakid.com. Some days, I was frustrated when we ran out of bread and I had to make more from scratch. I didn’t have a bread maker. I just had flour, yeast, and a bunch of hungry kids. But once we were baking bread in the tiny oven on our boat in the Caribbean, it felt worth it. In January, our family was wrapping up a five-month European road trip/sailing trip. 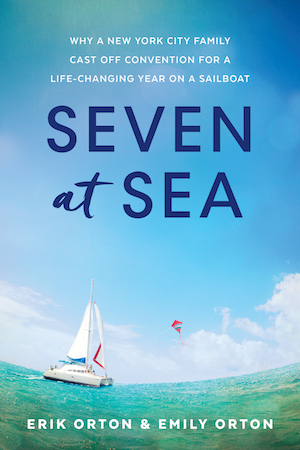 We experienced highs and lows, the grueling and the great, seasickness and sunsets. The kids and I, especially, felt overdue for our familiar New York City community, our own small apartment, and a lazy Saturday morning sleeping in our own beds. Then we got a text from our friends in Hawaii, the ones who just dropped everything to adopt their little girl. Did we want to come house sit for them in the spring? Apparently, they’d been through several potential candidates who weren’t able to make space for Hawaii in their lives. We would buy our airfare, but would have somewhere to live. Could we be ready? White Plains/Barber’s Point, Oahu 2018 when we jumped at a similar opportunity. 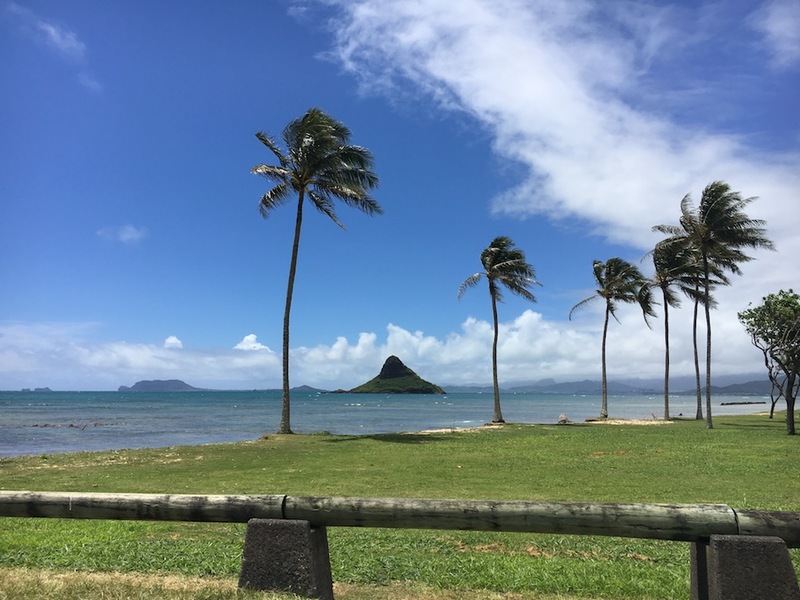 If our family committed to Hawaii it would mean we would only have eight weeks at home—not eight slow routine weeks, eight busy book promoting weeks—before we would leave home again. We decided to do it. I’ve been anxious about the quick turn around. Erik and I had three book related cross-country flights this month. Our family has adapted to entirely new levels of cooperation and coordination. Our neighbors and friends have stepped in to bridge the gaps. Last night Erik and I got home from an event in Houston. Today, we’re packing our bags, prepping our apartment for the lovely person who will be staying here, and catching the first leg of our flight to Oahu. 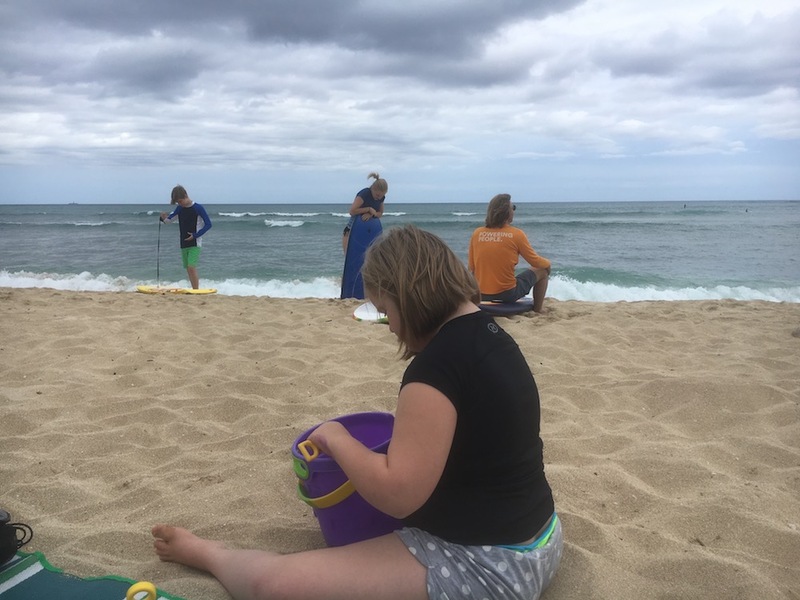 In Hawaii, we will be working on the manuscripts for two new books, homeschooling our three home kids, and getting outside as much as possible.